Blowout Sale! Save 51% on the Kings Brand 3 Piece Gray / Black Occasional Table Set, Coffee Table & 2 End Tables by Kings Brand Furniture at Main Street Living. MPN: T1166. Hurry! Limited time offer. Offer valid only while supplies last. View More In Living Room Table Sets. 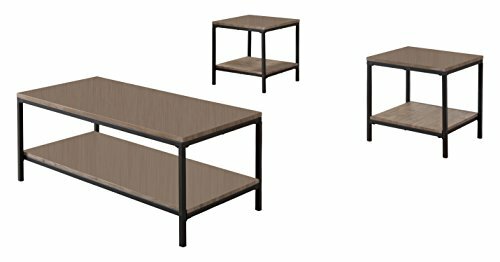 Kings Brand Furniture 3 Piece Gray Finish Wood With Black Metal Frame Occasional Table Set, Coffee Table & 2 End Tables. Make a statement in your living room with a three-piece occasional table set that's sure to take center stage. 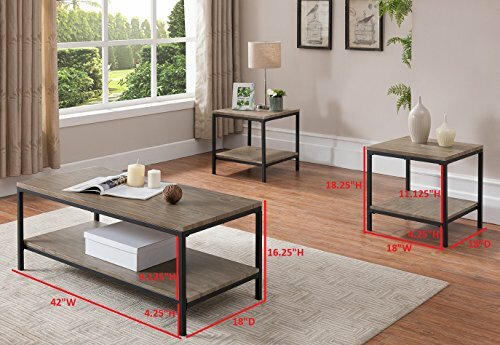 This versatile accent table set includes a rectangular coffee table and two matching end tables that make a stylish addition to casual or contemporary decor. Feature lower shelves that offer additional space for storage or display. The ample surface area provides a sturdy foundation for lamps, potted plants and decor. 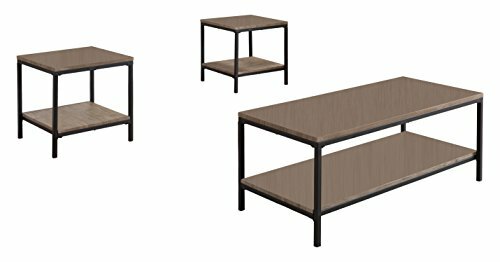 Dimension: Coffee Table: 42"W x 18"D x 16"H. End Table: 18"W x 18"D x 18"H. Simple assembly required. If you have any questions about this product by Kings Brand Furniture, contact us by completing and submitting the form below. If you are looking for a specif part number, please include it with your message.